What I love most when I'm travelling is that I always feel inspired by the places I see. Usually when I'm at home I find myself clueless about what to wear and lacking in creative ideas, but when I travel I'm always incredibly invigorated. The skirt I wore on our second day is one I probably wear really often and many times I feel sick and tired of it, even though I love it. 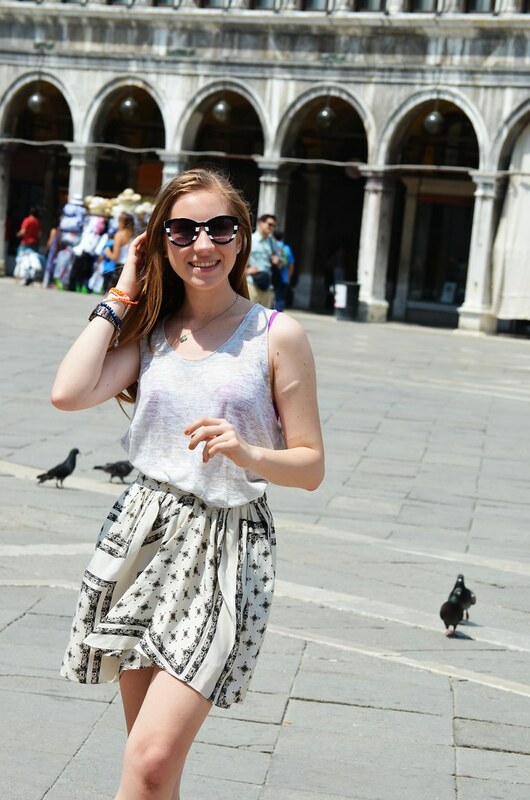 However, when I was in Venice it felt so fresh and appropriate it seemed I hadn't worn it before. The look I chose was really casual because we did a lot of walking and sight-seeing. I did actually bring a pair of heels with me and tried to wear them one night but I gave up because they just didn't feel right. 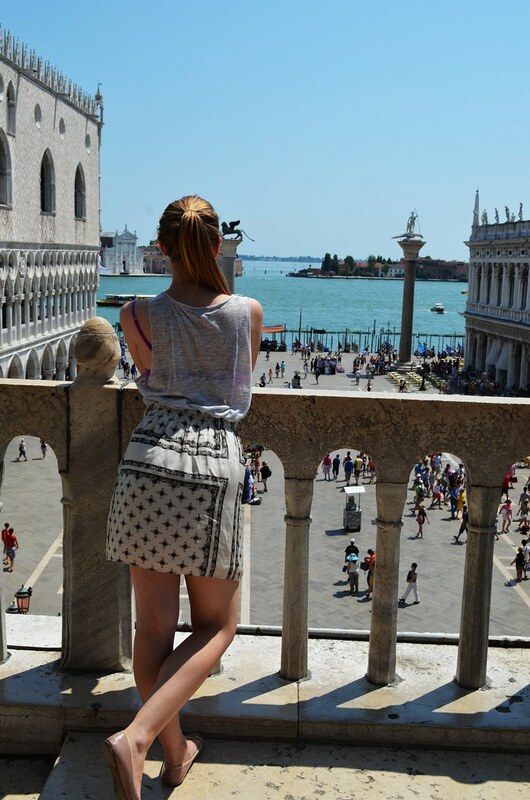 Venice is all about casual, romantic and relaxed.